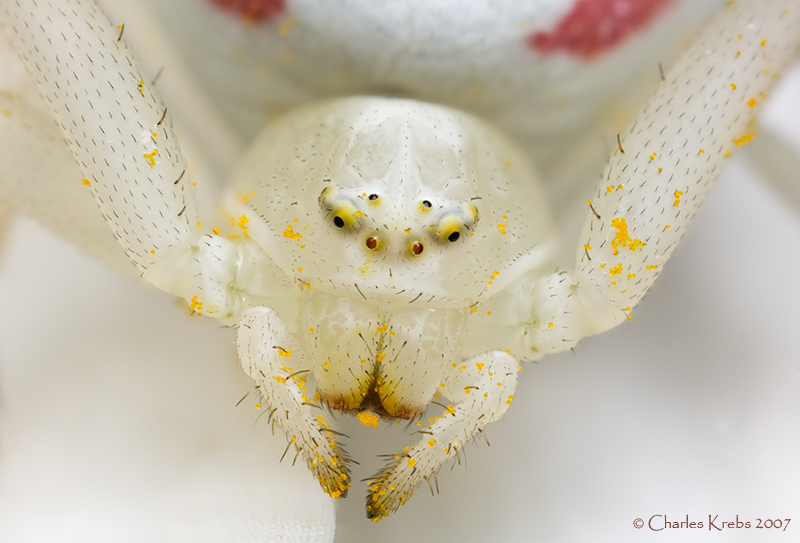 This is from a stack of 5 images Taken with a Canon 65mm MP-E macro lens on a Canon 5D body. Taken outdoors, natural light, lens was on a Novoflex focusing rail. 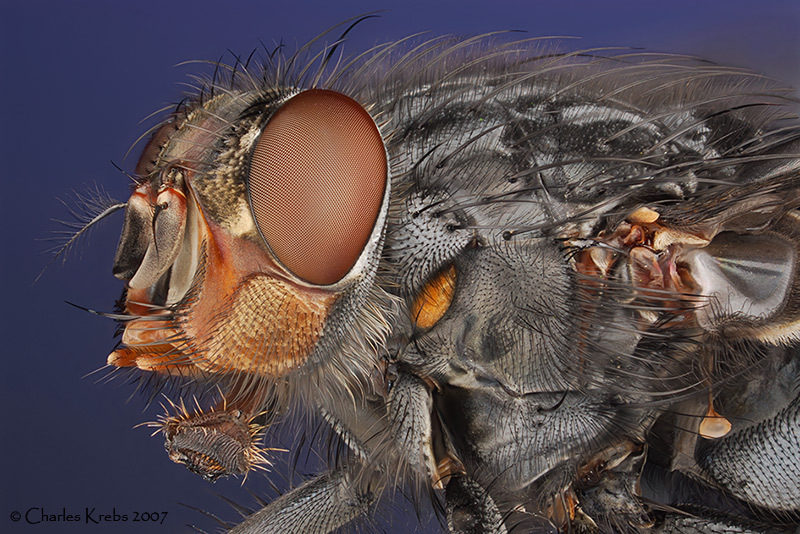 The stack of images for this fly was taken with a reverse mounted 50mm EL Nikkor on a camera bellows. Camera was a Nikon D200. 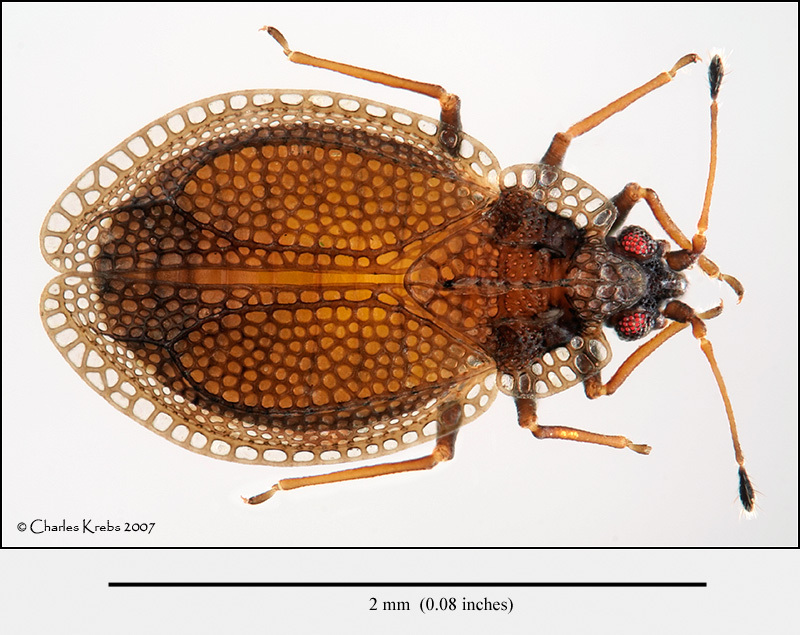 This small bug is fairly common in the moss samples I often examine for micro-critters. Taken on a compound microscope using a 4/0.16 Olympus S Plan Apo objective. Illuminated from above by fiber optics and small diffusion dome. Topic: How to callibrate scale bar? Top image taken with Nikon D200, Nikon Epi-5X microscope objective on bellows. 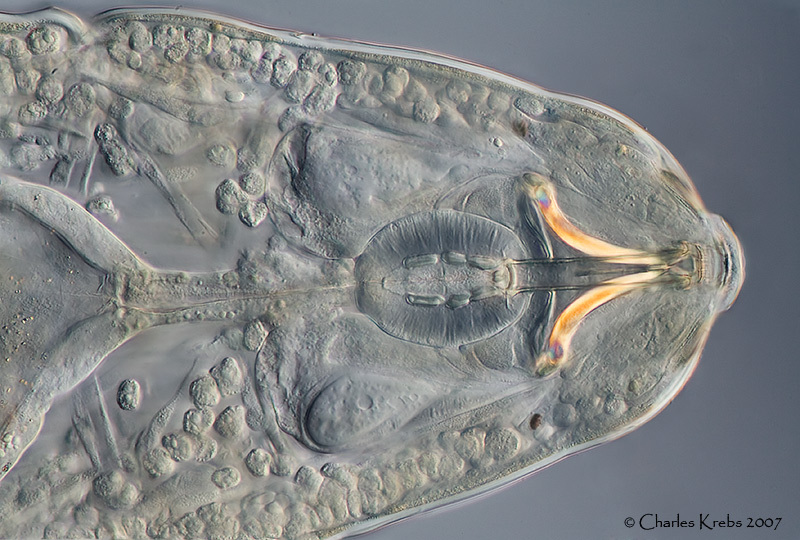 Lower image (eye) was taken with Nikon D200, Nikon 20X U microscope objective on bellows. This is from a stack of 21 images. 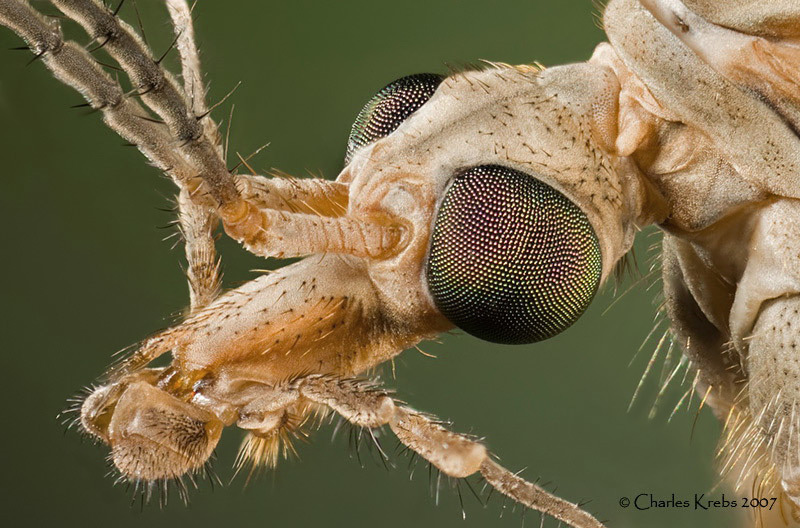 It was photographed using a compound microscope with a 10X objective. 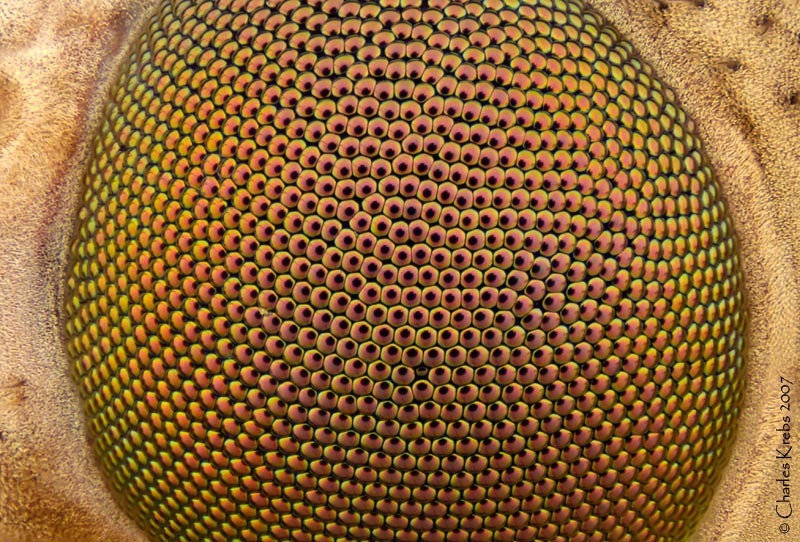 This is from a stack of 41 images. Photographed using a compound microscope with a low power objective. 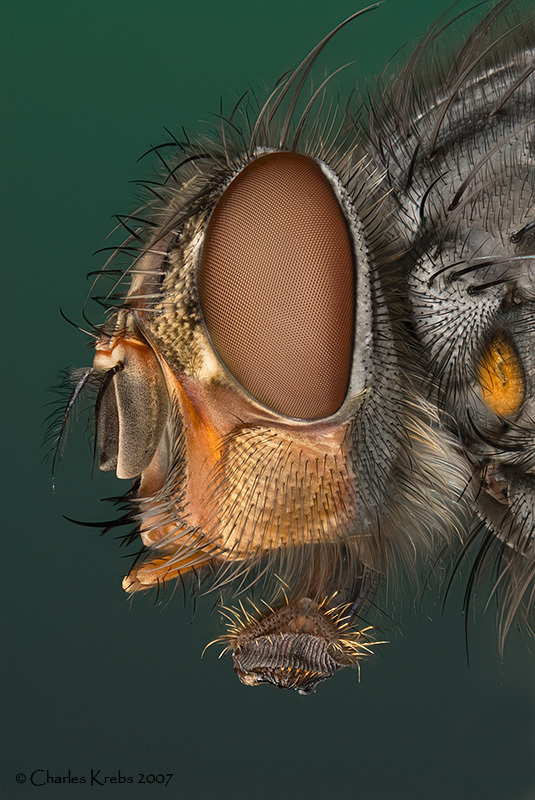 This is a fly photographed from the top. 2.5X objective with 2.5X photo-eyepiece on compound microscope. Approximately 40 images were in the stack. Canon 10D camera, lighting via fiber optic illuminator.